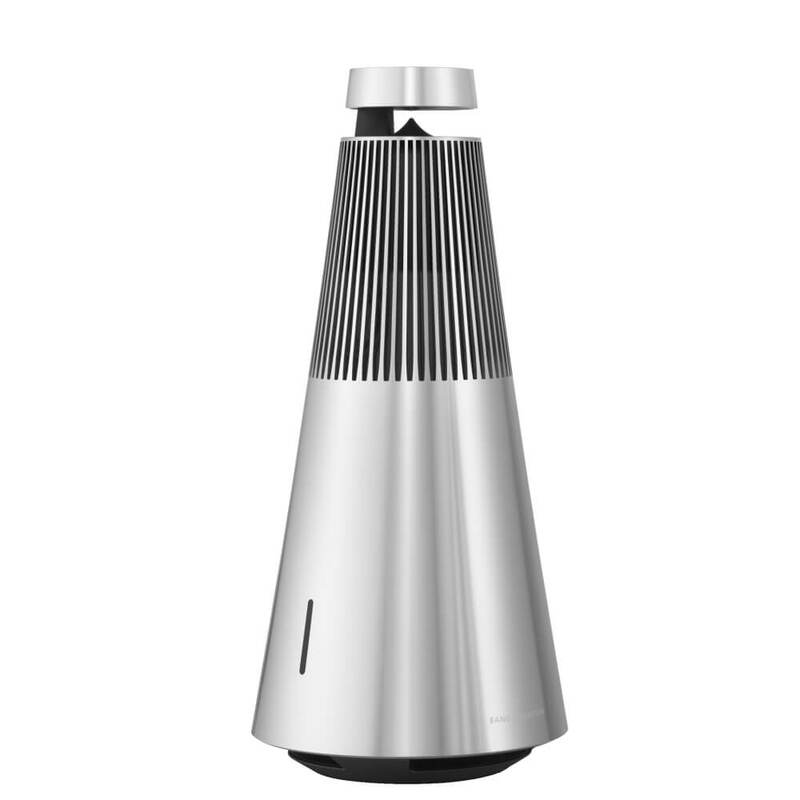 BeoSound 2 is a wireless speaker system with integrated music services, carefully crafted in high-grade aluminium. The new 360-degree sound technology will fill your room with clear and powerful sound from any position. Easy to operate, multiroom-ready and compatible with all streaming standards. 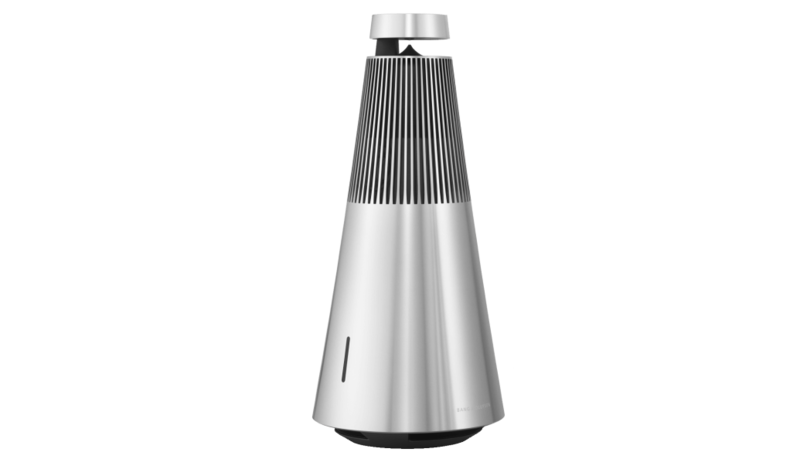 BeoSound 2 is an elegant and uncomplicated speaker system designed for a relaxed 360-degree listening experience. 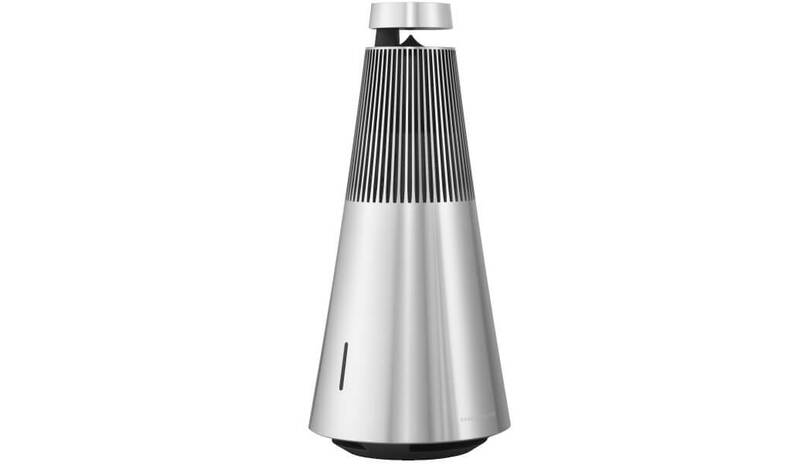 It is presented slightly bigger and is more powerful than BeoSound 1. It needs a permanent power connection to produce its vigorous output of excellent sound with great clarity and distinction. It is primarily intended as a stationary music system, but it can easily be placed elsewhere when the need arises. It is usually placed on the floor or on a low piece of furniture. Visuall, the natural anodized, cone shaped cabinet that is slight curved (almost like a trumpet) creates the compact impression that makes the device fit in anywhere on a shelf or at the breakfast table. The shape makes it unobtrusive while still providing sufficient space at the bottom for the bass driver to create a great sound experience. 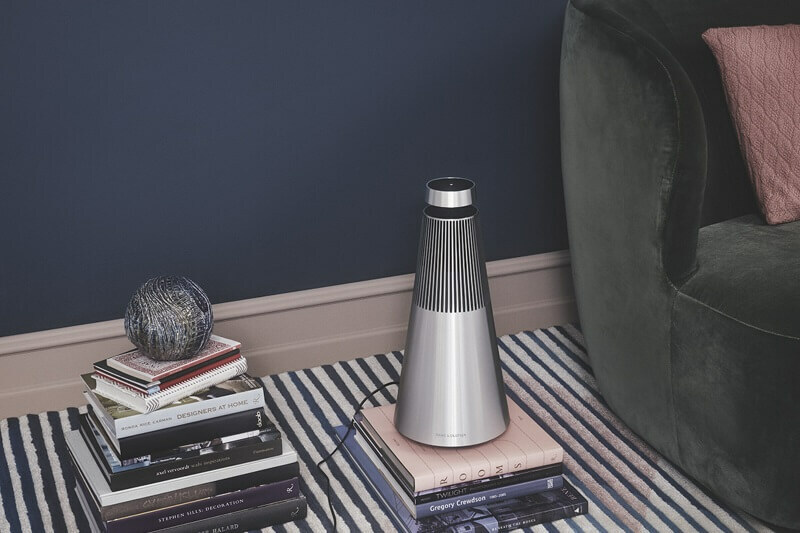 With the simple touch interface, starting the music on BeoSound 2 is only a touch away. Change source, skip tracks and join on-going music experiences, without the hassle. 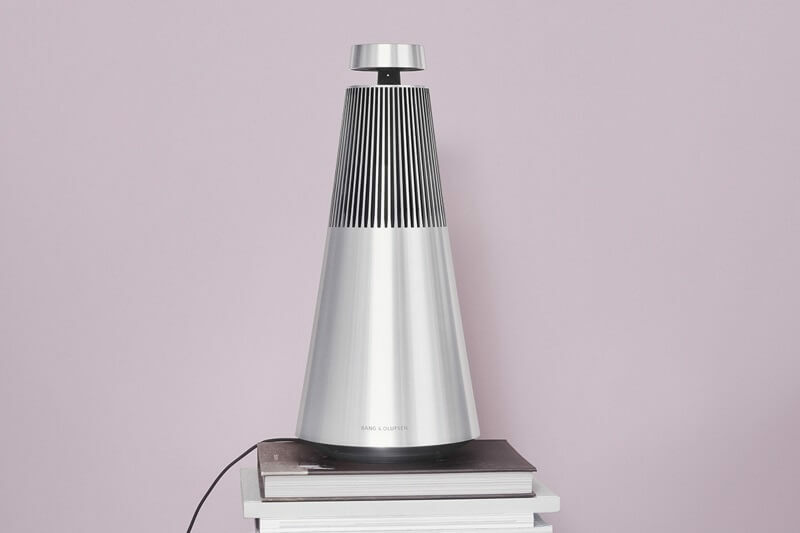 BeoSound 2 include a capacitive touch sensitive operation wheel where you can join music from other BeoLink Multiroom products, swipe between tracks or stations, turn up and down the volume or switch off the system. An integrated proximity sensor detects where you are comming from, so the operation is always turned in the correct direction for the user regardless of from which direction he or she is approaching the product. Music functions & streaming technology. 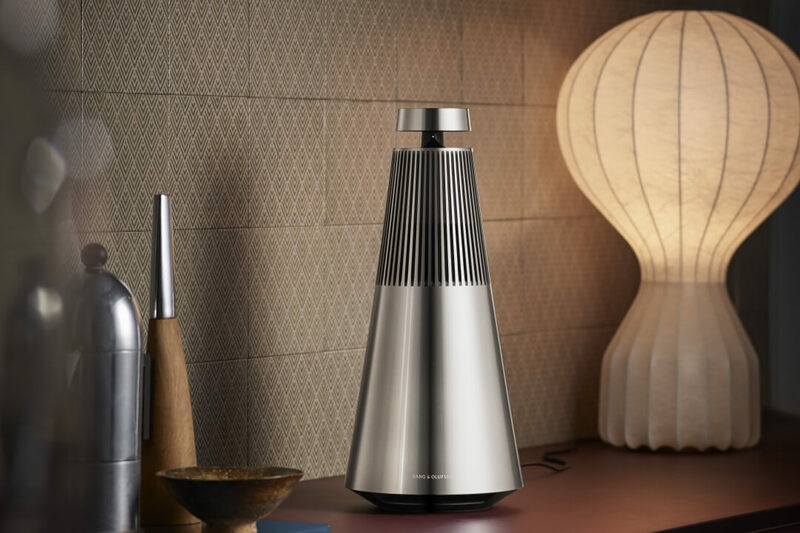 Like BeoSound 1, BeoSound 2 is also based on the new audio engine platform, which enables streaming from mobile devices using the latest technologies such as AirPlay, Google Cast, DLNA and Bluetooth. 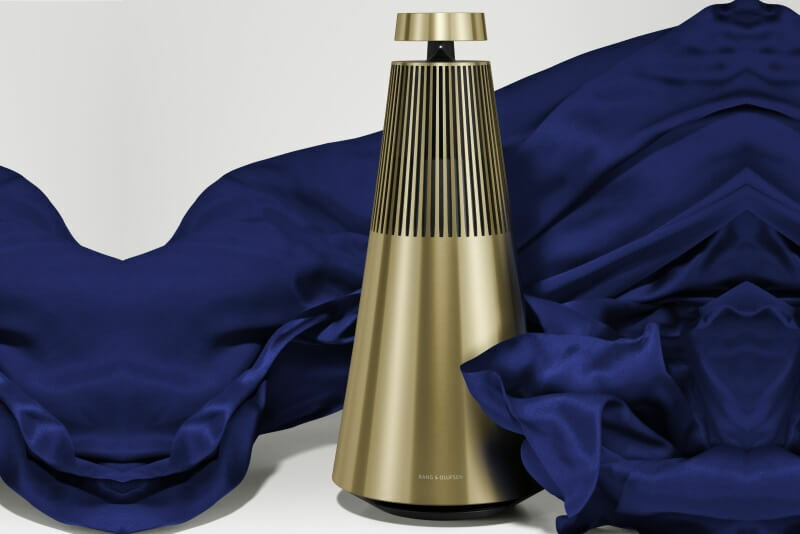 Furthermore BeoSound 2 also provide integrated access to TuneIn Internet radio stations as well as Spotify and Deezer music services to allow streaming of music without using a smartphone or tablet. Being part of the BeoLink Multiroom family, BeoSound 2 integrates perfectly into existing systems. With the simple and elegant device, you can add yet another room and optimize the sound experience throughout the home. For a seamless sound experience throughout your home, you can also connect the speaker to other BeoLink Multiroom products. Simply connect your smartphone via Bluetooth or Wi-Fi and play music. 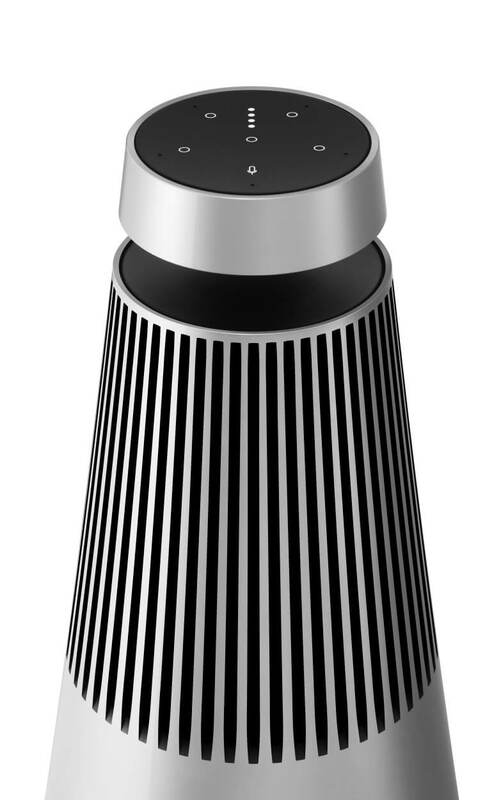 The new Beosound 2 with Google Assistant allows you to control your speaker by voice with 5 built-in microphones. You can play music, do Google research, manage day-to-day tasks, and easily control your home's smart devices with your voice. The OneTouch interface of BeoSound 2 with Google Assistant has been redesigned and improved. It offers an almost magical 360-degree experience and is surprisingly easy to use. The user interface has been enhanced with special and personalized favorites buttons and a command button to start voice control. Also the multi-room functionality has been enhanced. 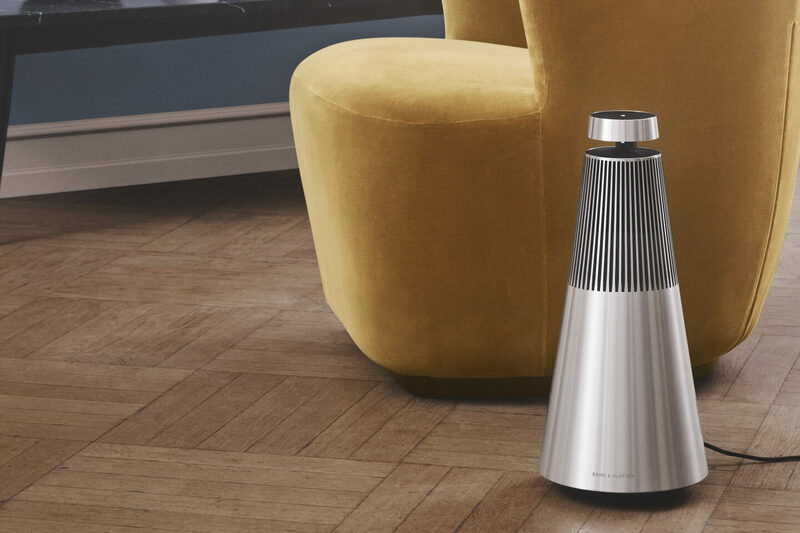 With both, Chromecast built-in and Airplay 2 integrated into the device, all the major music streaming services can be easily transferred from your smartphone to the Beosound 2. With the integrated Google Assistant, Beosound 2 has Google Home's advanced smart speaker functionality. Along with the shift towards warmer saturated colors, rich yellow metals are also finding their way into home decoration. As part of the Cool Modern Collection BeoSound 2 is also available in the Brass Tone. Don't miss a manufacturer's campaign or other advertisings where the price is reduced for a limited time. We will inform you automatically if your desired price for BeoSound2 is reached or we have another suitable offer for you. Bronze is characterized by a reflective shimmer that moves independently of the light. 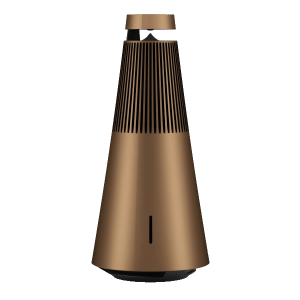 Experience BeoSound 2 with Google Assistant in a limited special edition in a warm bronze tone.